By the year 2022, the in vitro toxicology testing market is predicted to be worth approximately $8.74 billion. This represents a CAGR of 6.6%, starting from an industry that was worth $6.34 billion in 2017. In vitro toxicology testing is experiencing this accelerated growth in part because of rising opposition to animal testing. In previous business generations, animal testing was considered the most cost-effective way to test for toxins in beauty products and other types of products. Today, this is not the case. New technologies for in vitro toxicology testing have created a quantifiable justification to move away from animal testing. This coincides with activist victories in major markets, including legislation banning animal testing in the European Union and the United States. Furthermore, new methods of testing are considered to be more accurate in detecting toxins as well. The US National Academy of Sciences (NAS) in 2007 published research pointing to a new type of toxicology testing. This new version, founded on an in vitro methodology, took advantage of new biotechnology, systems biology, computational toxicology, toxicogenomics and epigenetics. These advancements made it possible to determine the toxicity of certain substances using a single cell instead of an entire animal. The adverse outcome pathway, or AOP, allowed scientists to identify how a chemical will affect a biological target by sampling cells from that target. The results from such a sample are so accurate that the map can even extend to a population, far beyond the effect to a single animal. This finding more than anything the NAS put forth enabled testing to move from in vivo testing to in vitro testing. With this, the notion of animal testing as superior officially became obsolete. 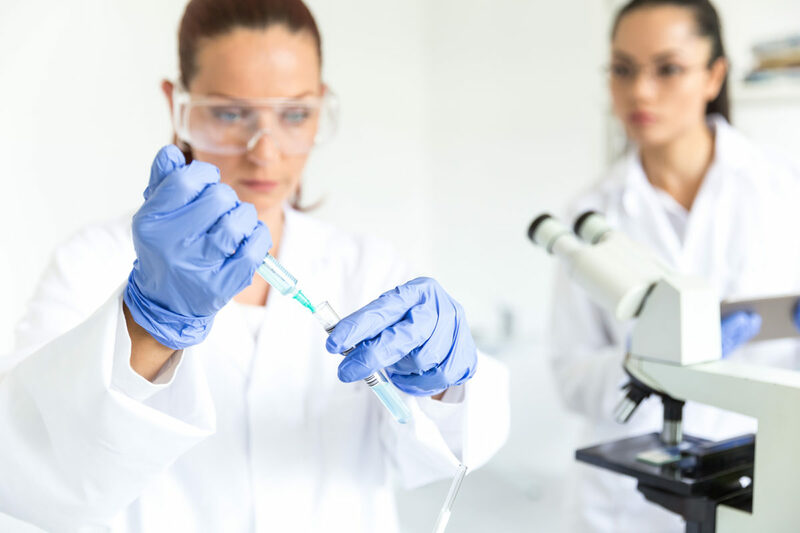 A report published in 2018 by the New England Anti Vivisection Society (NEAVS) and the White Coat Waste Project found that the National Toxicology Program (NTP) had used more than $186 million of taxpayer money in animal testing. This included tests on more than 115,000 animals. The NTP currently uses over 100 different tests on animals. Alongside those tests are only seven that do not include animals, although the NTP has actually approved more than 70 of those tests. The report also found that the NTP does not have a great deal of accountability or transparency when it comes to its stated goal of replacing animal tests with in vitro technologies and other forward thinking methodologies. Because the NTP is a subsidiary of the National Institute of Environmental Health Sciences (NIEHS), it receives cover from the FDA and the CDC, the report found. This means that even though nonanimal testing has been found to be more effective and cost-efficient, the concept may die hard in deep state centers of government. Allocations from the CDC, the FDA and NIEHS funded the NTP with $131 million in 2016. Invitro International provides viable solutions to animal testing that are also cost efficient for companies. For more information, visit the website or call the toll free number at 800-246-8487.